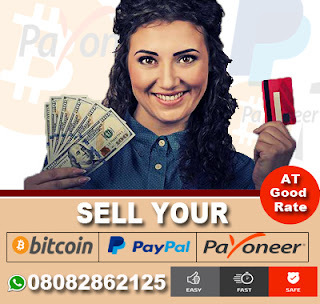 The Ghanaian police has arrested over two dozen internet fraudsters in the capital city, Accra, but only one of them turns out to be a Nigerian. A suspected cyber crime syndicate was last month apprehended by the Achimota Mile 7 Police in Accra. 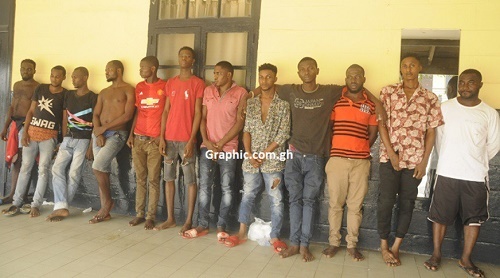 In all the 30 arrested, 29 suspects were Nigerians, the arrest took place in an early morning swoop on a house at Alhaji Tabora in Accra. .
Retrieved from the suspects were 34 laptops and 48 mobile phones they allegedly used in committing crimes. The suspects are also linked to a dead body that was found wrapped at the Apenkwa neighbourhood two weeks ago. .
Awudu Abdul Razak, 23; Daley Emmanuel, 26; Moses Madjaki, 30; Onaghnise Osahou, 24; Peter Andrews,25; Benjamin Akumeze, 25; Kelvin Osayi, 23; Oforufemi Adrigu, 25, Anthony Irughe, 22 and Kelvin Uche, 22. .
Philip Aghariaha, 25; Nathaniel Owobu, 27; Teddy Atigbin, 23; Henry Onege, 27; Daniel Ukuokolo, 21; Osas Uhuns, 22; Kelvin Ola, 23, Lucky Osahou,21 and Yakubu Dido, 26. .
0 Response to "30 Yahoo Boys Arrested in Ghana... 29 of Them are Nigerians (Photo)"